NEW YORK (AP) — Countless theories have surfaced about the disappearance of Malaysia Airlines Flight 370 nearly two weeks ago. Why suspect the pilots? The plane's transponder stopped signaling its location to air-traffic controllers and other planes at the perfect moment: the handoff from Malaysia's controllers to those in Vietnam. 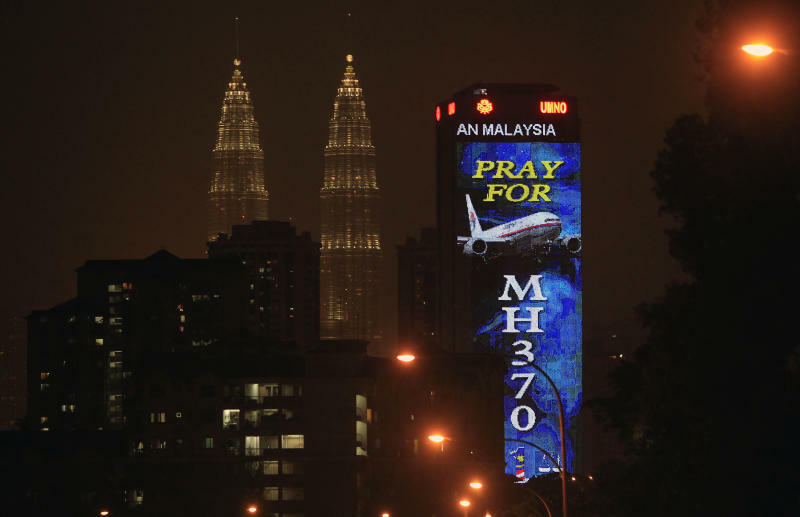 In the final radio contact from the plane, the co-pilot told Malaysian controllers "All right, good night." Vietnamese controllers were never contacted and the transponder shut off. The plane abruptly turned and then kept flying for up to seven hours. This theory was prominent early on after it was discovered that two Iranians on board — one 18, the other 28 — were traveling on stolen passports. Investigators haven't found anything linking either to terror groups; it is believed they were trying to illegally immigrate to Europe. Ever since 9/11, it's much harder for an unauthorized person to enter the cockpit. Cockpit doors have been reinforced and procedures have been put in place to ensure nobody gains entry when a pilot exits. And passengers and crew have shown a willingness to confront anyone trying to take over or damage a plane. Could someone have been allowed into the cockpit? It's against protocol, but does happen. Back in 2011, Flight 370's co-pilot and another pilot invited two women boarding their aircraft to sit in the cockpit for an international flight. During the journey, the pilots smoked and flirted, one of the women said this month. Still, no credible group has taken credit for the disappearance and intelligence agencies say they haven't noticed any chatter in terrorist circles regarding the jet. Aviation experts initially suspected that something sudden and horrific happened. Perhaps a bomb on board, or some type of failure with the engines or airframe. But if that were the case, debris would have been found in the spot where the transponder went off. Also, the Boeing 777 has just one fatal crash in its 19-year history — last year's Asiana Airlines crash in San Francisco. If there was a sudden breakup, pieces of the plane would have been visible on radar. An electrical fire, or perhaps a fire from hazardous cargo, could have knocked out communications equipment and prevented crewmembers and passengers from calling for help. Some people have speculated that smoke incapacitated the pilots. It's possible, but flight attendants and passengers would have had time to try to enter the cockpit and take control of the plane. If the plane depressurized and killed its occupants, which happened on golfer Payne Stewart's business jet in 1999, that would explain the silence from crew and passengers. But aviation experts say in that case, the plane should have kept flying automatically toward Beijing and been visible on radar. It's possible that somebody landed the plane at some remote airport and is hiding it from the world. Maybe they want to hold the passengers hostage, although nobody has taken responsibility or demanded a ransom. Maybe there was something of value in the cargo hold — and this was the world's most elaborate robbery. Maybe terrorists have the plane and plan to load it with jet fuel and explosives and use it as a missile in the future. Those scenarios all have holes. A very skilled pilot would have to land the plane at a small airport that normally doesn't accommodate 777s. They might have had to land in the dark, without normal navigation aids to assist. And they would have to dodge several nations' radar systems, though some have suggested that it stealthily flew in another jet's shadow. Yet it's hard to rule out anything. It took Thailand's government 10 days to acknowledge that it spotted what might have been Flight 370 on its radar. Governments aren't necessarily open to sharing all their information, especially when it comes to their military radar capabilities. Civilian aircraft have been unintentionally shot down by a country's military. In July 1988, the United States Navy missile cruiser USS Vincennes accidently shot down an Iran Air flight, killing all 290 passengers and crew. In September 1983, a Korean Air Lines flight was shot down by a Russian fighter jet. There is no evidence that Flight 370 was brought down by a government entity.